The Episode starts with Chakor and Anjor running in the race. Everyone cheers for them. Sameer says I m tensed. Prakash asks whom will you support, Mausi or your lover. Chakor leads the race. She gets slow. She falls down and gets hurt. She removes the shoe and checks. She gets shocked seeing the bleeding foot. Anjor turns back and smiles. Chakor gets shocked. Anjor runs ahead. Udaan hai….plays…. Chakor removes the glass piece from her foot. She recalls Arjun’s words. She recalls her childhood moments. Sameer gets shocked. Chakor gets up and runs faster than before. She surpasses Anjor. Anjor gets shocked. She sees Chakor’s bleeding foot and thinks she would be in much pain. Chakor wins the race. Anjor stumbles and falls. Chakor holds her and asks her did you get hurt, be careful. Anjor gets away. Sameer says I will go. Prakash says don’t go, Anjor lost for the first time, she will vent anger on you, don’t go to her today, Maasi is strong, she will handle herself. Chakor gets applauded for her win. Anjor says leave me alone, I don’t want to talk to anyone. She thinks I m hurt seeing you hurt, why did I realize this pain. Jaya’s daughter seeing the money and asks what’s all this. Jaya says the letter came for Chakor. The girl says Chakor’s daughter is dead, she would be upset to know this. Jaya says no, we won’t tell her anything, she is alive for one hope. She fools her daughter by acting good. She says we will use this money to take care of Chakor, now we are her family, she has no one, go and study. Anjor says I could have won this race, but I didn’t. Principal announces Chakor’s name as the winner. She says Chakor has won the race and our heart, she got hurt and even then she has kept running, its a moment of pride for us, Chakor has been national marathon runner champion. Sameer says wow, Maasi is marathon champion. Principal salutes Chakor. The man says my dad has told me about Chakor Rajvanshi, she is a famous personality. Anjor gets angry. Chakor and Anjor get their medals. Chakor helps Anjor and ties her shoe lace. She confronts Anjor for adding glass pieces in her shoe. Anjor accepts it and says you can never prove this. Sameer does Chakor’s aid. He asks why did you not quit. Chakor says a player shouldn’t forget focus and goal. Jaya goes to get haldi milk for her. Chakor says I feel Anjy is worried, why does she do this. Sameer thinks if Maasi knows that I got Anjy home and I love her, what she will think. Chakor asks about his friend. He asks her to take rest, he will make her meet Anjy later. He asks what’s this stamp. She says its a sign of my past, which will be with me forever. She recalls Anjor and thinks this stamp is also there on my daughter’s hand, I have to make a plan to find her, don’t know where is Anjor. Jaya says this feast is for Chakor’s win. Chakor says you did a lot and spent much money. Jaya says I did this with my money. She gifts Chakor. Chakor likes sports gear. Jaya says you have become sports coach, so a little gift for you. Sameer’s dad says I think Jaya got some lottery. Jaya stops her daughter from saying anything. She says its from my savings, we should help people. Anjor comes home and says why is it so darkness. Poona and everyone surprise her with a success party. Anjor vents anger on them since she lost. Bua scolds her for venting anger on her parents. Anjor says I really lost, you know who defeated me, that Cha…..Poonam says you did her Shraddh, how did you take Chakor’s name. Jatin thanks guests and asks them to leave. Poonam asks did you meet Chakor, it means she is around you, she came to meet you. Anjor says no, I didn’t say Chakor, I said Ms Chakravorty. Poonam makes her swear and says sorry, I overreacted, I will talk to principal. Anjor says no, you won’t come there, if you come, then I won’t talk to you. Poonam gets puzzled. Sameer and Anjor spend time and stay happy. They dance on the roads. She hugs him. Poonam looks on and asks who was that guy. Anjor says his name is Sameer. Poonam comes to Sameer’s house. Chakor goes to open the door. 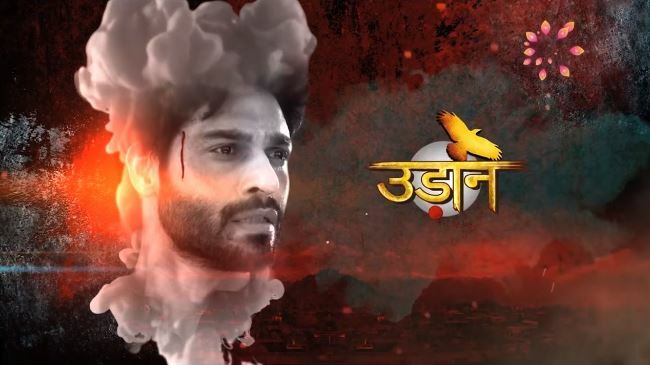 The post Udaan 6th March 2019 Written Episode Update: Chakor wins the race appeared first on Telly Updates. Indian Dramas Copyright © 2019.